It's not easy to bring an entire courtroom to tears. 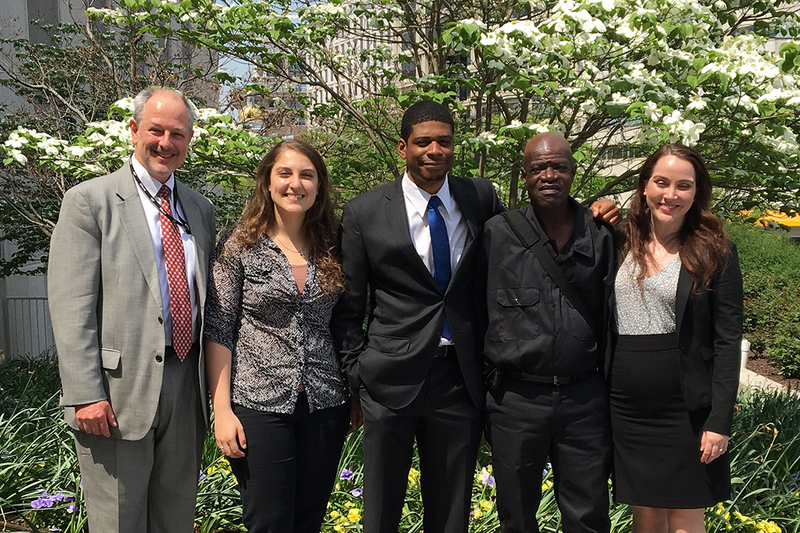 But there was not a dry eye in the house this spring when GW Law Clinics client Aaron Phillips and his team of student attorneys appeared before a DC Superior Court judge to petition for an order to amend Mr. Phillips' birth certificate to reflect his true name. The hearing, while routine on the surface, marked the life-changing conclusion of a mystery 50 years in the making. The powerful story began in September 2017, when Bread for the City attorney Danielle Moise, JD '15, who collaborates with the Clinics, referred Mr. Phillips to GW Law's Public Justice Advocacy Clinic (PJAC) for help obtaining a District of Columbia identification card. The lifelong Washingtonian and longtime employee of Flagship Carwash had lost his ID and needed a new one to apply for a DC public housing apartment. But District law demands that ID applicants present their birth certificates, and Mr. Phillips' birth certificate was nowhere to be found. Born in the early ‘60s and fostered as a child, he was alone in the world—unaware of the names of his birth parents or any potential siblings. 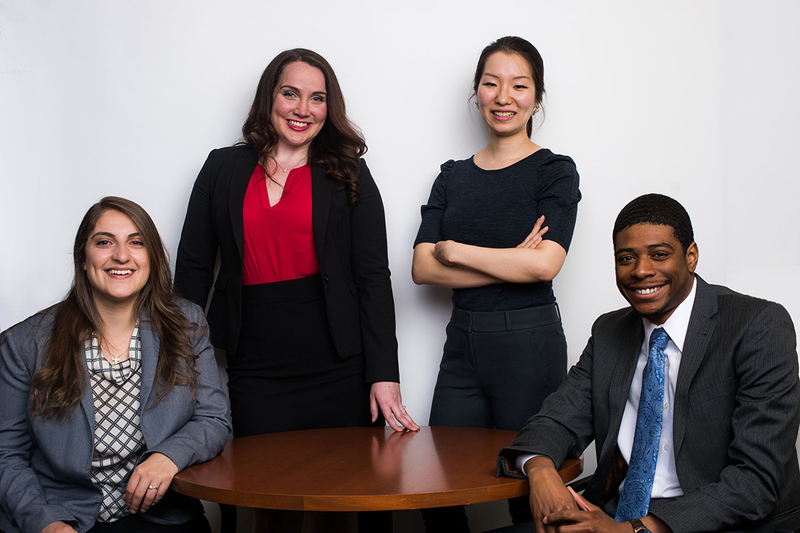 GW Law Clinic students Noelle Cozbar (now Bryce) and Soohyun Choi, who were beginning their final year of law school, were assigned to the case as part of their fall clinical course with the Public Justice Advocacy Clinic. Directed by Professor Jeffrey S. Gutman, the clinic represents low-income individuals in a wide range of civil litigation cases, including identification cases. "Noelle and I set off on a semester-long hunt to find Mr. Phillips' birth certificate and uncover the facts of his birth," Ms. Choi says. "The questions of who his birth parents were and why they gave him up seemed to have haunted Mr. Phillips for his whole life and it tugged at my heart." The determined duo requested information from the Vital Record Divisions of D.C, Maryland, and Virginia; the DC Child and Family Services Agency; the Social Security Administration; and the U.S. Census Bureau. They called surviving relatives of Mr. Phillips' childhood caregivers. They called DC hospitals in search of their client's birth records, and churches in search of his baptismal certificate. "We spent a lot of our time making information requests, researching agency procedures, discussing strategy, dealing with bureaucratic red tape, carefully documenting all our efforts, and wondering why there was no record of Mr. Phillips anywhere," Ms. Choi recalls. "The questions of who his birth parents were and why they gave him up seemed to have haunted Mr. Phillips for his whole life." "Toward the end of the semester, with all of our searches futile so far, I was making peace with the fact that we might not learn anything about Mr. Phillips' birth. But we had one outstanding search request that hadn't come in yet – our Freedom of Information Act (FOIA) request to the Social Security Administration – and we hadn't heard anything for weeks." As the semester was winding down, an envelope arrived at the clinic office from the Social Security Administration. "We opened it and found a photocopy of Mr. Phillips' original Social Security application containing the name of his birth parents," Ms. Bryce says. "With enthusiasm and wonder, Soo and I held this new piece of information and pondered what it would mean for Mr. Phillips' future. But since it was our last day working at the clinic, we had to pass the case to the incoming student clinicians." PJAC spring student attorneys David Coard and Caroline Merlin, who were both beginning their last semester of law school, took the baton and ran with it. Immediately captivated by Mr. Phillips' warmth, friendliness, and keen sense of optimism, Ms. Merlin said she noticed early on how quick their client was to open up to them and trust them with the case. "He is a remarkably kind and generous person who brings tremendous warmth and laughter into every conversation," she says. "He has faced a lot in his life, and I wouldn't have been surprised if he had become hardened and cynical as a result of that, but he is exactly the opposite." Walking out of the clinic building after their first meeting in early January, Mr. Coard and Ms. Merlin turned to one another and said, ‘It would be amazing if we actually found a living relative,'" Mr. Coard recalls. "It was a pretty audacious moment given the information we had at the time, but I think it really spurred us on all semester." Armed with the names of their client's birth parents, who had passed away nearly 40 years ago, the team reached out to the foster care agency in search of relevant files but walked away empty handed. They contacted the Marriage Bureau in search of Mr. Phillips' parents' marriage certificate, but again were disappointed. "We were grasping at straws for weeks, and when we finally found what we were looking for it was, ironically, exactly where it was supposed to be, at the DC Bureau of Vital Records," says Mr. Coard. The Bureau, he explains, had discovered an unnamed birth certificate containing the names of their client's birth parents. "We knew we had hit pay dirt." After months of dogged persistence, they had unearthed Mr. Phillips' original birth certificate. The birth certificate revealed new information about Mr. Phillips' father, including his middle initial, occupation, and age at the time of his son's birth. Plugging in the additional details, Ms. Merlin once again searched online records and a Virginia marriage certificate popped up, listing Mr. Phillips' parents as the parents of the bride. "My heart skipped a beat because it hit me that the bride could be our client's sister," Ms. Merlin recounts. "I looked up the bride, Mrs. Denny, who was born in DC six years before Mr. Phillips, and everything I found further confirmed my belief that she was his sister." an advocate for people in need of legal assistance, to make a difference in someone's life." The case reached its storybook ending when Mr. Phillips asked Ms. Merlin to reach out to Mrs. Denny, who now lives in Pennsylvania, to find out if, in fact, they were siblings. "That phone call was one of the most nerve-wracking moments of the entire case for me," reflects Ms. Merlin. "Mrs. Denny quietly asked my client's name and year of birth. When I replied, she screamed, ‘Oh my God, you found him, you found my brother,' and dropped the phone. I will never forget that moment for the rest of my life. Mr. Phillips has a family and we had located them." Mrs. Denny, it turns out, had visited her newborn brother in a DC orphanage shortly after his birth and had never given up hope of seeing him again. "For over 50 years, she had searched for him and counted him among her siblings," says Ms. Merlin. Remarkably, Mrs. Denny's first grandson was named Aaron in honor of her long-lost brother, and Aaron was listed among the surviving siblings in his brother's funeral service pamphlet several years ago. "It was really emotional, hearing how hard she worked to keep the memory of Mr. Phillips alive within her family because for so long he had essentially been alone in the world," Ms. Merlin says. "And to know that someone was out there thinking of him and caring for him all along was incredibly moving." Mr. Phillips, in fact, had seven surviving brothers and sisters and numerous nieces and nephews, many of whom live in the Washington metropolitan area. Mrs. Denny quickly made the journey from Pennsylvania to DC for an emotional reunion with her long-lost brother. "The week after Caroline and I introduced Mr. Phillips to his family, he called me one morning and told me about a big Sunday dinner he had gone to with his newly discovered sister and niece," Mr. Coard recalls. "He was rattling off the names of sisters, cousins, nieces, nephews, great nieces, and great nephews with fervent joy. You could tell his first meeting with them had gone exactly how he had hoped. It was like they were waiting for him this whole time to walk into their lives. It was a surreal moment for me because I knew that we had contributed to a really important moment in this man's life." Soon after the emotional family reunion, everyone gathered in a DC Superior Court courtroom, where Mr. Coard successfully petitioned the judge to order a correction to Mr. Phillips' birth certificate. "The day we went to court was almost picture perfect," Mr. Coard recalls. "Mr. Phillips filed into the courtroom with an entourage, trailed by his sister, her husband, two of her daughters, three student attorneys, and Professor Gutman." Scanning the scene, Mr. Coard says he marveled at the once-improbable reality of his client appearing before the judge with his newfound family. "I thought to myself, ‘This is what representation is. This is the power of having an advocate.' It can change your whole life. I often reflect on that hearing because it gave me valuable insight into the honorability of our profession." For Ms. Choi, the experience was equally powerful." The case reminded me why I came to law school in the first place: to be an advocate for people in need of legal assistance, to make a difference in someone's life," she says. "Clinic was a truly special experience because I was able to help clients like Mr. Phillips, with real stakes. I spent every moment in clinic driven, with a sense of purpose, and now I feel confident and prepared to start practicing law." 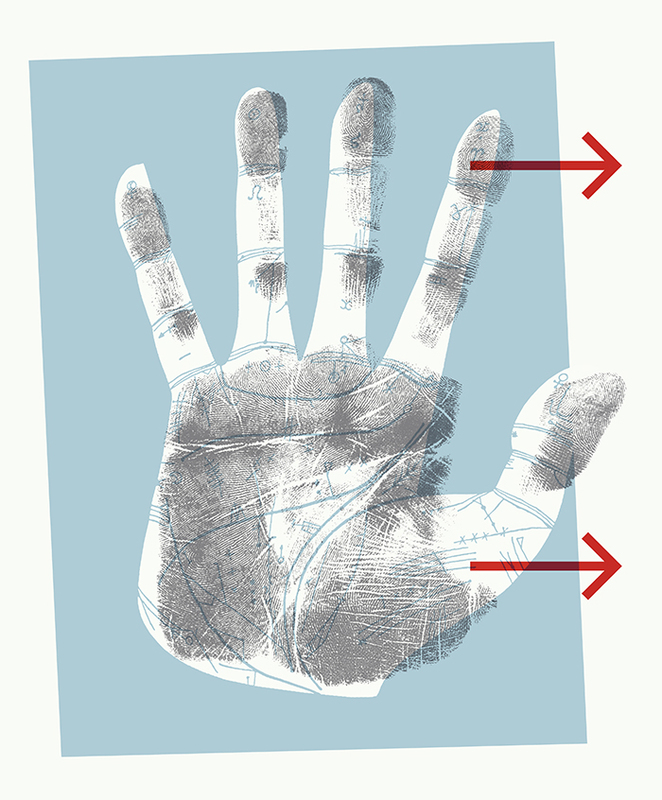 that hearing because it gave me valuable insight into the honorability of our profession." Ms. Bryce calls herself "changed for the better" having met Mr. Phillips and shared in his life story. "I grew a lot as a human being and became much more conscious of people's daily struggles for acceptance, identity, and family," she reflects. "Our efforts gave Mr. Phillips clarity and closure about his childhood and reunited him with his family. Stories like Mr. Phillips' exemplify the crucial need for public interest advocacy and compassionate legal service." The successful conclusion of the case represented not only a legal victory, but an even bigger personal one for Mr. Phillips, says Ms. Merlin. "It was very affirming to have our legal careers start out with such a resounding victory for our client, and it is something I'm going to always draw on when I need motivation to keep fighting," she says. "Every phone call, every email, every morning spent waiting in line at an agency office trying to get a document or get a letter signed, was absolutely worth it. Working on Mr. Phillips' case has truly been one of the most incredible experiences of my life, both personally and professionally, and I will never forget it." Mr. Phillips, who is now on a waiting list for a DC public housing apartment, says he always had a feeling his family was out there. "The wonderful students at GW really worked hard to help me, and they changed my life. I have a large family now, and I feel happy and fulfilled. I am truly blessed."